Laura Michelle Kelly began her show at the El Rey Theater in Los Angeles celebrating an audience member’s birthday. 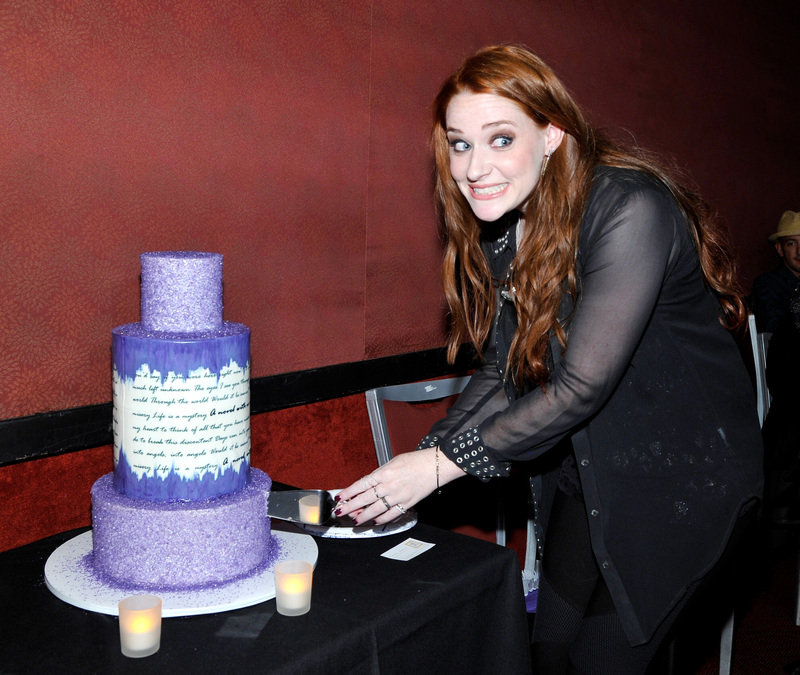 She cut the cake, giggled to cheers from the crowd, and then moved swiftly on stage, cameras and dark red hair trailing in her wake. 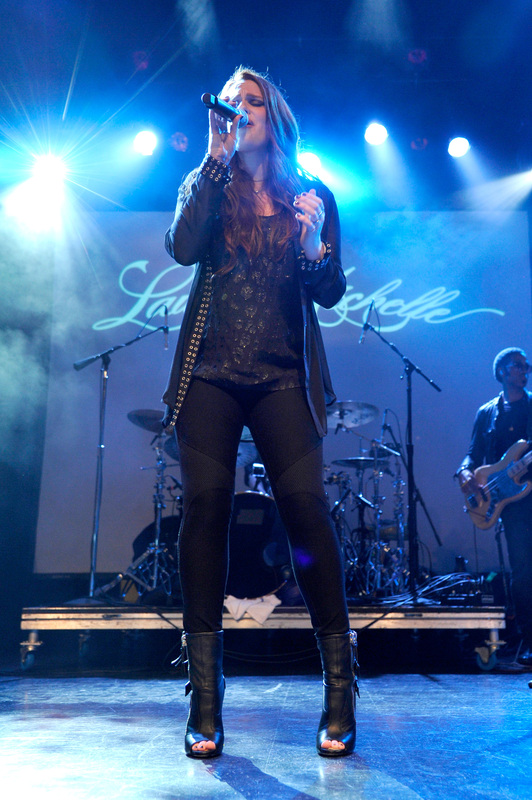 Her Los Angeles appearance honored the release of her second album, Novel With No End. However, the album is a less emotionally mature shadow of the charming and gracious Kelly that performed at the El Ray on September 1st. Comprised of thirteen songs, Novel With No End literally feels like it has no end. The energy listeners get at the beginning, with two upbeat pop anthems “Throwaway” and “Top of the World,” doesn’t mask the rather dull second half. Gems buried in there—such as “Chuck Norris,” the single that earned her summer fame—get a little lost in the marathon of forgettable songs with choruses we’ve all heard before. The most awkward songs are those—and there are quite a few—slamming other women who are, apparently, out to steal her man. Still, despite the awkward diary-lyric-but-not-in-a-believable-Taylor-Swift-way nature of many of the songs, the better tracks allow a specific and entertaining style to emerge, which Kelly carried with her on stage at the El Rey. Even if you don’t care for the album much, you’ll find it hard not to be in Kelly’s corner when watching her perform live. So many pop artists turn out to be better on the record than off, but Kelly’s Broadway voice makes her vocal performance a special and seamless experience. In the song “Cigarette,” with which she opened her set, her bodied voice punctured the music as she sang, setting the tone for a performance built for rocking out. The full band that accompanied her was a bold move, too. In a world of synthetic violins decorating pop performances, the string section was an especially nice touch. They got lost in the more energetic, guitar-heavy throw-downs, but were used powerfully in the slower ballads, particularly the titular track “Novel With No End,” which Kelly introduced as a song written for her deceased father. Family was certainly a theme on Kelly’s mind, as she projected a photograph of herself and her dad on the canvas behind her for the duration of the song. Other tracks she dedicated to her mother and her cousin Emily. Comfortable interacting with both band and audience, Kelly made the crowd feel a sense of closeness, too. It’s hard not to be her fan when she wears her heart on her sleeve. Although this honesty came across differently in the album, Kelly cut it down significantly for the performance, playing a short set with all the essentials.